Small, powerful magnets inside the accessories of the toy figures can fall out; if swallowed by young children, the magnets can attract each other internally and cause dangerous intestinal perforations or blockages. Discount department stores and toy stores nationwide from June 2006 through June 2007 for about $11. Immediately stop using the toy and contact Mattel for instructions on how to return it to receive a free replacement toy. 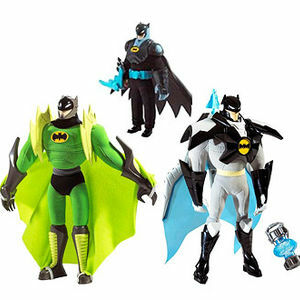 For more information, call Mattel toll-free at (888) 597-6597 anytime, or visit their Web site at www.service.mattel.com.